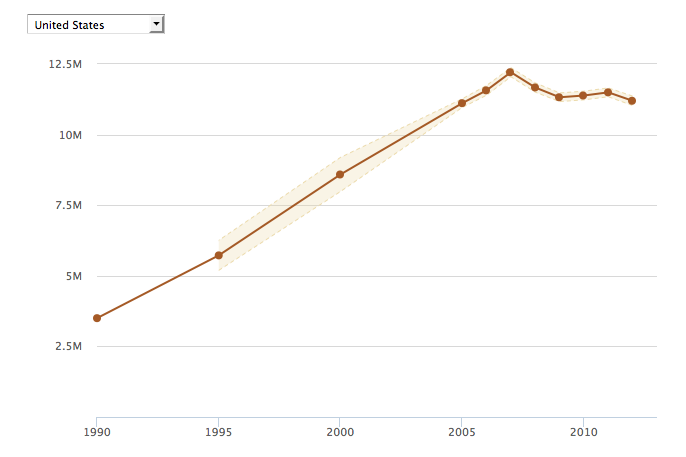 Pew immigration report: Undocumented population stable, overall population reaching record level. 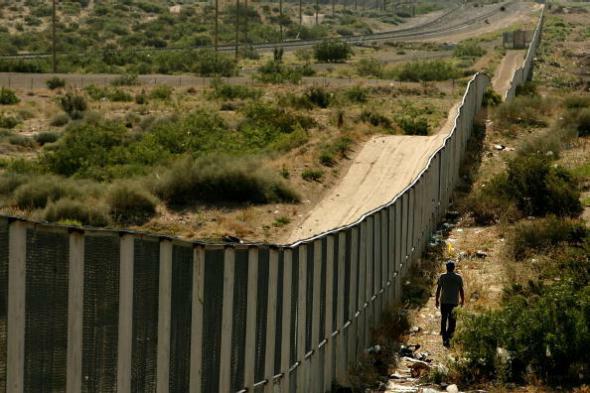 A man walks along the Mexican side of the U.S.-Mexico border in Ciudad Juarez. The perceived threat of excessive immigration has been perhaps the most prominent issue in the campaign for the 2016 Republican presidential nomination, and a new Pew demographics report says that the United States is in fact on the verge of having a greater proportion of immigrant residents than it ever has—while also noting that the number of undocumented or “illegal” immigrants in the country was actually higher in recent years than it is now. The big takeaway from the report is that, after the 1965 Immigration and Nationality Act opened national borders to immigrants from countries that had been excluded by racist quotas, the U.S. population of foreign-born residents rose steadily and is now approaching levels only previously seen during the 1900-era heyday of Western European migration. Pew writes that in 1965, 84 percent of U.S. residents were non-Hispanic whites, a number that has fallen to 62 percent today. So white people who say the country is changing are, in this strict sense, correct. On the other hand, Pew notes, the number of undocumented foreign-born residents—i.e., the ones who are most often targeted by politicians—has in recent years fallen even in absolute terms since peaking, pre-recession, in 2007. 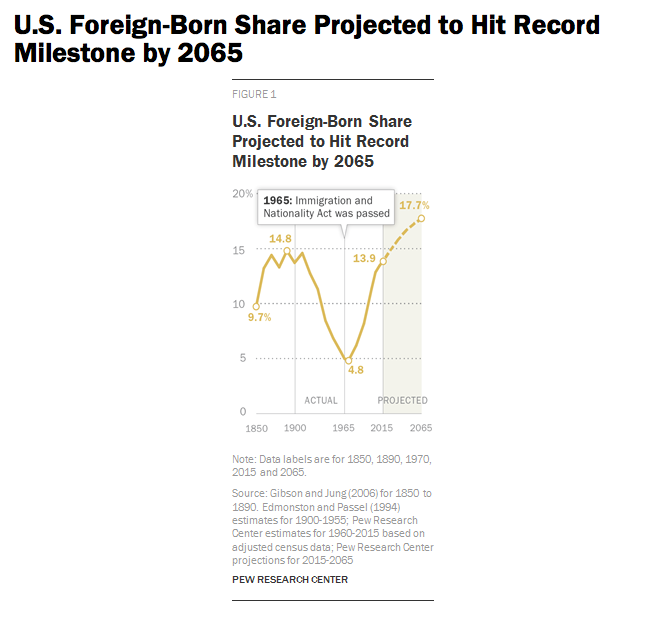 Meanwhile, the immigrant group that’s projected to grow the most in coming decades is not “Mexican rapists” but Asians; Pew projects that there will be more Asian immigrants than Hispanic immigrants by 2055.